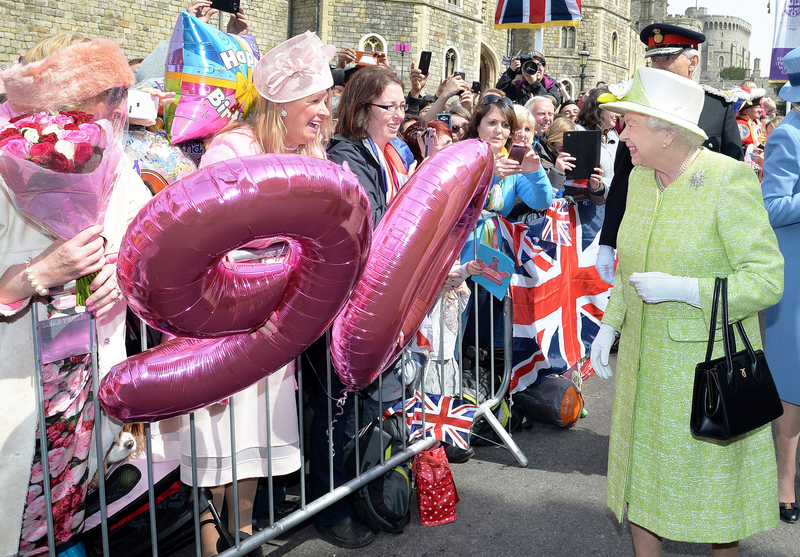 Her Royal Highness turned 90 on Thursday, April 21, and celebrated in style in a statement-making outfit. 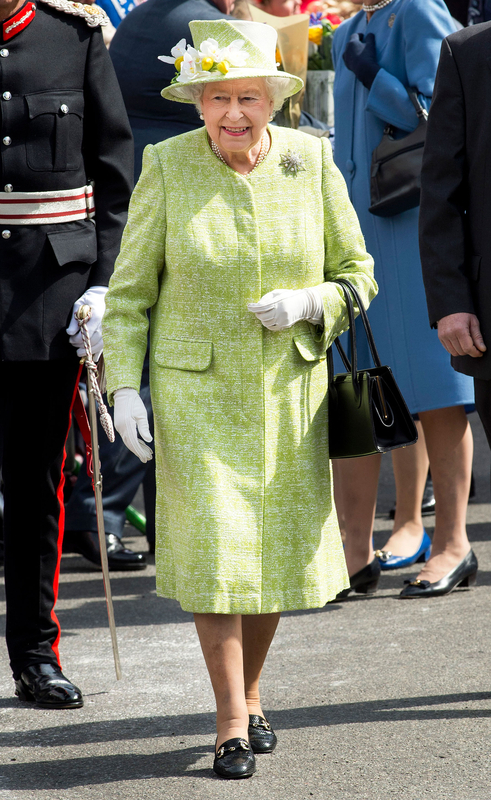 Queen Elizabeth II donned a cheerful, bright pastel green coat while greeting subjects in Windsor, England, with her husband of 68 years, Prince Philip, Duke of Edinburgh. She paired the vibrant "spring grass green" garment with a matching dress and hat that featured a flower accessory (all by her designer and milliner Angela Kelly), black pumps and an elegant Launer London handbag. A pair of Genevieve Lawson white gloves and her favorite pin — the star diamond brooch, gifted to her in 1981 — topped off the entire look perfectly. To honor the United Kingdom&apos;s longest-reigning monarch entering her ninth decade, U.K.-based footwear company Aruna Seth recently launched a line of Swarovski crystal–embellished wedges designed to reflect the Union Jack flag, and the queen&apos;s grandson, future king Prince William, gave a speech. "I am incredibly lucky to have my grandmother in my life. 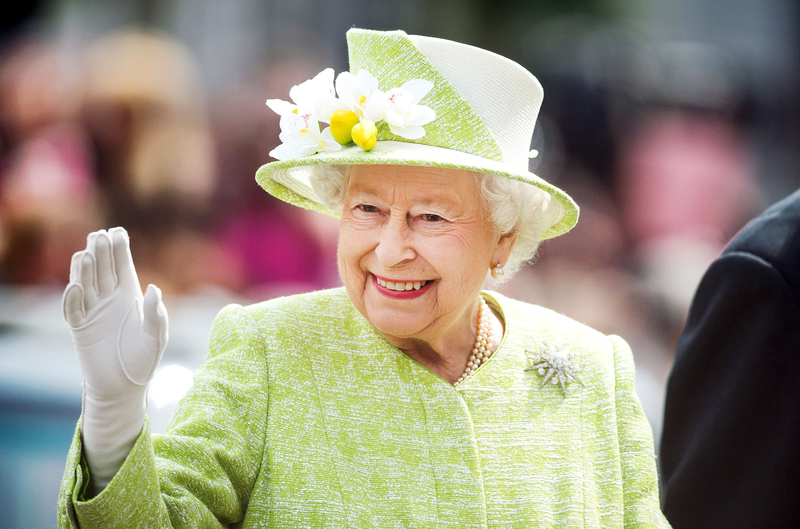 As she turns 90, she is a remarkably energetic and dedicated guiding force for her family," the duke of Cambridge, 33, said at an April 11 Indian garden party celebrating the queen&apos;s birthday. "She may be my grandmother, but she is also very much the boss!" 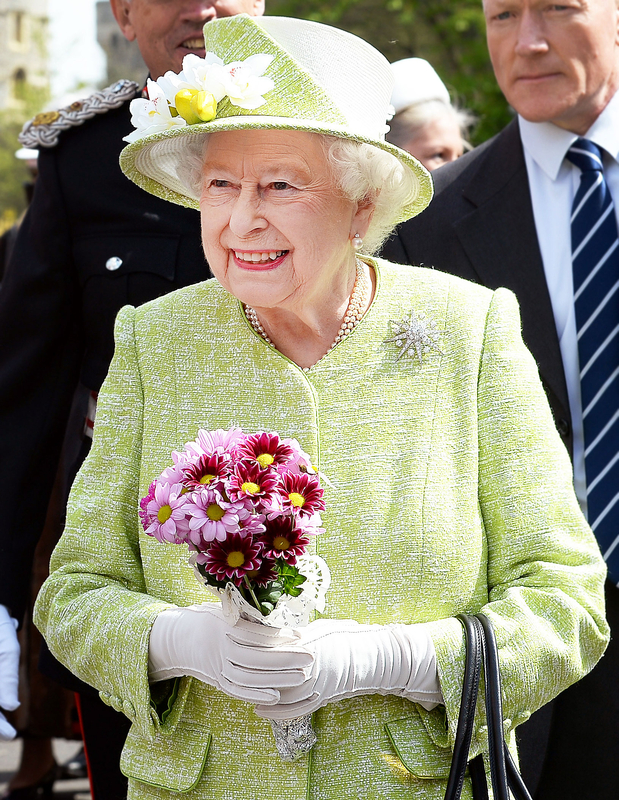 What do you think of Queen Elizabeth II&apos;s birthday attire?